Intelligent, athletic and creative, Monte enjoys his me time and playing sports. 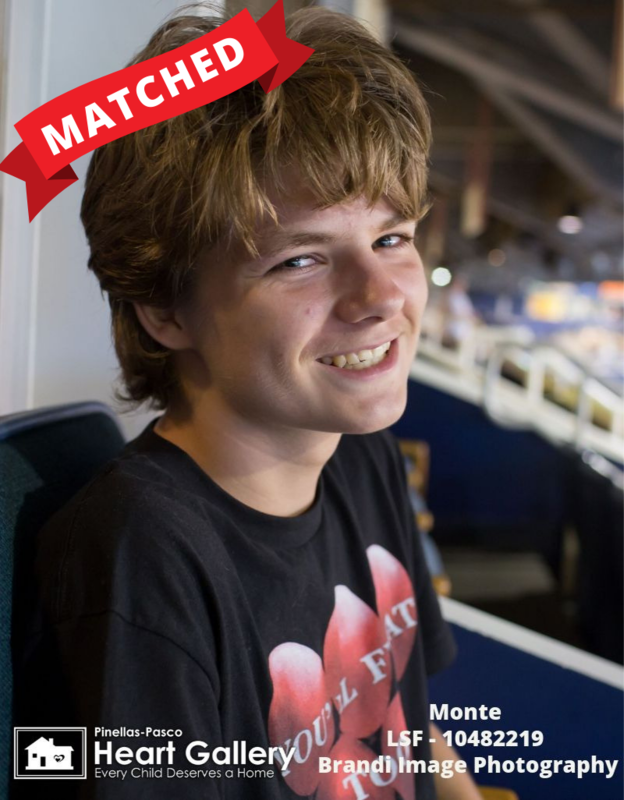 When it comes to sports, there’s nothing he doesn’t like to play, but when getting on the court or field isn’t an option Monte will settle for watching his favorite show, Law & Order: Special Victims Unit or playing video games. In school, math is Monte’s favorite subject. His favorite food is barbecue chicken, but he’ll pass on onions. If Monte could change the world, he would make everyone equals. When he grows up, Monte wants to be an architect. In the meantime, he wants a pit bull for a pet. Monte’s ideal forever family includes a mom and dad. Having a dog is a bonus! Updated photos courtesy of Brandi Image Photography. Previous photos courtesy of Remember This Studio.